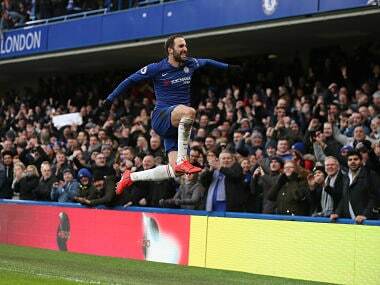 London: Manchester United eased the pressure on manager Jose Mourinho by seeing off Everton 2-1 at Old Trafford on Sunday, as Chelsea leapfrogged Manchester City into second with a 4-0 thrashing of Burnley. Arsenal's 11-game winning run was finally ended, though, as two Luka Milivojevic penalties earned Crystal Palace a much-needed point in a 2-2 draw at Selhurst Park. Sunday's action on the field was overshadowed by the ongoing investigation into the helicopter crash on Saturday evening that is feared to have killed Leicester City owner Vichai Srivaddhanaprabha. Players wore black armbands and a minute's reflection was held before kick-off at all three matches. 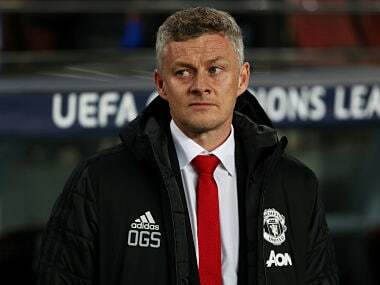 United's fifth defeat of the season to Juventus in the Champions League on Tuesday had put Mourinho's position in peril once more. But he got the slice of luck he needed when Paul Pogba's penalty was saved by England number one Jordan Pickford, but rolled kindly back into the Frenchman's path to slot home the opener. "I am happy again," said Mourinho, adding, "it was a game we didn't need to suffer as much in the last few minutes." The United fans still weren't happy with Pogba, though, as he received jeers for his laboured run-up to the spot-kick. "I always try and destabilize the keeper, maybe they know how I take penalties, maybe I should practice to change it, if the keepers know my step," said Pogba. But it was from Pogba's pass that Anthony Martial curled home a fine second four minutes into the second half. However, another sloppy ball from Pogba helped get Everton back in the game as Gylfi Sigurdsson scored from the penalty spot after Chris Smalling chopped down Richarlison. "Sometimes I have to clear the ball. I always try to improve and play, find solutions, we have the ability to play," added Pogba. Chelsea enjoyed a far more comfortable afternoon to close to within two points of Liverpool at the top of the table despite the absence of top scorer Eden Hazard with a back injury. 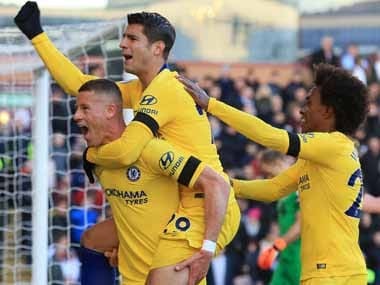 Alvaro Morata, Ross Barkley, Willian and Ruben Loftus-Cheek were all on target to ease concerns over who could carry the goalscoring burden without the Belgian for Maurizio Sarri's side. 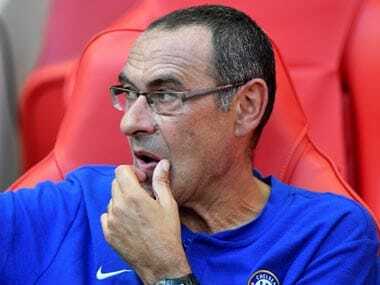 "We were in trouble for the first 10 minutes because Burnley started very aggressively and we were in trouble," said Sarri, adding, "then we started to move the ball very well and we also defended better than in the last three matches so we're very happy with the result." The Gunners' winning run had raised hopes of an unexpected title challenge from Arsenal. 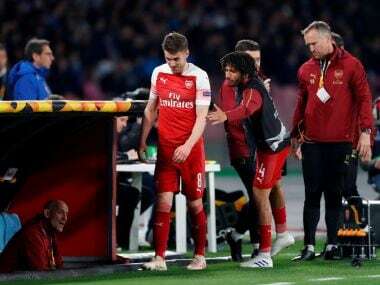 However, their defensive deficiencies were shown up in rash challenges by Shkodran Mustafi and Granit Xhaka to give Milivojevic the chance to earn Palace a share of the spoils. In between the Serbian's spot-kicks, a brilliant Xhaka free-kick and Pierre-Emerick Aubameyang's controversial ninth goal of the season, after he pounced on a knockdown from Alexandre Lacazette's hand, had put Arsenal in front. "We can make mistakes on the pitch. Every day I am making mistakes in my decisions. Mistakes are to learn from," said the Spaniard.